in fostering an enhanced state of well-being of both people and planet. NATURE is part of the Source that guides and inspires me. CREATIVE ENGAGEMENT is how I explore, discover, express and create connections between people and nature. HEALING and enhanced WELL-BEING for people and planet is why I do what I do. Having had numerous personal experiences of HEALING or ENHANCED WELL-BEING by connecting deeply to the Natural World, my INTENTION is to help others do the same. The health of humans and planet can simultaneously be elevated when we realize and appreciate that sense of connection, and when we feel that power of awe or wonder that Nature can provide to us. enhancing the the well-being of both humans and nature. 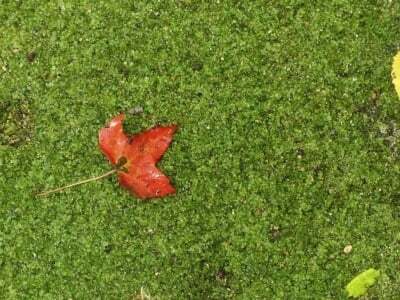 Which Shi​​​​​​​​​​​nrin-Yoku (Forest Bathing) Experience is Right for You? I provide a variety of Nature and Forest Therapy offerings that allow you to experience the benefits of enhanced well-being, reduced stress, and a deeper nature connection. If you don't see something below that works for you, please contact me. I am open to other options! Please note that I use phrases such as Forest Bathing, Shinrin-yoku, and Forest Therapy Walks interchangeably, and they refer to the same thing. Experiences do vary depending upon the number of people participating, the location, the day, season, weather, etc..
For information on schedules and costs, please visit "Events"
The individual Shinrin-Yoku experience offers an opportunity for more focus, quiet time, and contemplation. As the guide, I can assist you in moving deeper into your own healing and wellness journey. A perfect pairing with an organizational or company retreat, a Nature/Forest Therapy walk can enhance mental clarity and creativity levels, and provide a heightened sense of wellbeing for your team members. Shinrin-Yoku pairs beautifully with creativity workshops, offering participants the opportunity to shift from the analytical mind prior to a Forest Bathing experience, to a more open, inspired expression afterwards. Similar to Nature / Creativity partnerships, pairing Shinrin-Yoku with other practices and therapies such as yoga, meditation, mindfulness, equine or art therapy, etc., can enhance and enrich their positive benefits. The options are vast and ripe for exploration at this point! I am open to discussing how to integrate a Nature and Forest Therapy experience in ways not yet mentioned under my list of serves. Let's talk! I​​​​​​​ have been immersed in design my entire life. I am particularly interested in designing and creating both interior and exterior spaces that are deeply personal and health-full for those who inhabit them. The design of your space should be as distinct and perfectly suited to you as a nest is to its respective bird. landscape design, I dwell in the gentler realm of these professions. I have a heart-felt resonance with the arts, am sensitive and empathetic, and embrace a sincere sense of caring and love for the natural world and humanity. 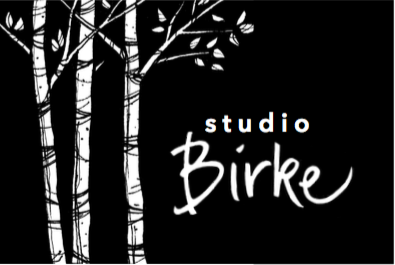 As the all-encompasing business name for my creative endeavors, Studio Birke is where you can connect to me for services of ARCHITECTURE, DESIGN, ART and WRITING. The Studio Birke website invites you to my unique way of combining my love of Nature and forest therapy guide training with a thoughtful, almost therapeutic design process; to explore and design spaces that are designed for your enhanced sense of well-being!